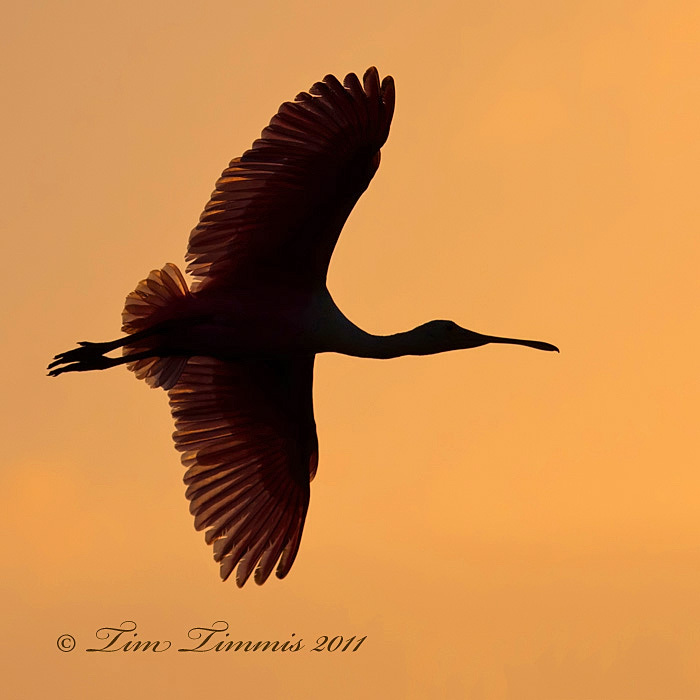 Here is an early morning silhouette of a Roseate Spoonbill at the High Island rookery in Texas. I’m a big fan of silhouettes so you may see a few of them on my blog. 1/4000 sec @ F5.0, spot metering, ISO 400, at 250mm. This entry was posted on May 13, 2011 by Tim Timmis. It was filed under Birds and was tagged with Spoonbill silhouette. Lovely capture Tim………..love the light.